It has been an interesting year in Real Estate in the Greater Vancouver area. Across many municipalities condo prices are up substantially. The detached house market is a different story. 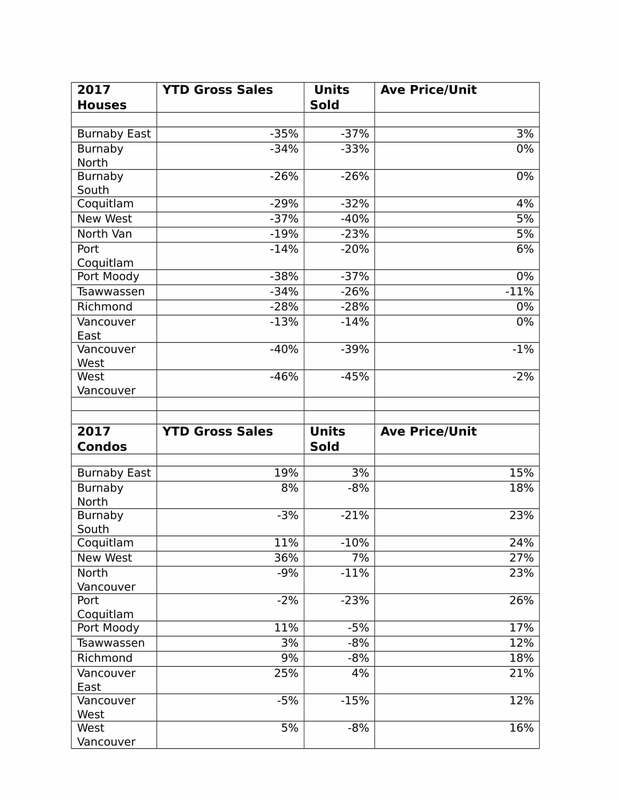 While average sales price per unit has not changed much, the number of sales and the gross sales YTD looks very different than last year. All data has been collected from the REBGV.